Due to the continuing reader interest in the AR15 rifle, I have been roped into producing the following Four Part article. I will cover the AR15 Match Service Rifle, the AR15 Tactical Carbine, the AR15 Tactical Rifle and close it all up with a short piece on how to built an AR15. I hope to include all the options but I am sure I will miss a few. If I do, it does not indicate that the overlooked part is a bad one. There are just so many on the market one has a genuinely tough time keeping track of them all and deciding which is the way to go. Herein lies one reason why the AR15 is such an excellent base rifle to choose when looking for a good close to medium range tactical rifle as well as an excellent base for long range target shooting, a High Power rig or a varmint rifle. The amount of gear on the market boggles the mind. It ranges from the silly to the sublime. There are cheap $30 tactical scopes that only a fool or an ignoramus would use and there are no nonsense products worth every penny. I will try to highlight the basics with this article in an attempt to give you, our readers, an idea of what you can do and what you can expect from your AR15. So YOU want to built an accurate AR15? Maybe you can not quite afford to do it all at once, or you are reluctant to pay the premium for a custom rifle. Not to worry. Everything you need to roll your own AR is readily available and easily procured. The truly great thing about the AR is its modular design. You can use your current rifle to create another of excellent accuracy, or you can order all the parts to build a rifle from scratch that will be almost as competitive as the top of the line custom rifle. Only your imagination is the limit. You may not believe me when I tell you that it is possible to build a match grade Service Rifle for as much as half the price of a custom built rig, but this is true. How can this be? The basic design of the AR15 is such that it lends itself to easily done modifications. As well, it is a very accurate rifle to begin with. A top smith can supremely tune the AR and by all means, he will manage to wring out a little more accuracy. But the difference might be measured in a few thousandths of an inch! Your half moa rifle might not be as accurate as his .2 moa rifle, but you probably will not be able to tell during a High Power match! First off, you have to choose what it is you want to build and why? As this website deals exclusively with tactical rifles, I will touch on these as well as High Power rifles. All other uses stem from these anyway, so while I may not mention a varmint rig or Space gun, everything listed here applies. A flat top tactical rifle, with a different scope, can easily do second duty as a varmint rifle. Building an AR15 is pretty basic. While I won’t say any idiot can do it, my wife might beg to differ. All it takes is a little common sense, a few simple tools and two specialized tools that any AR owner should have anyway. The specialized tools are inexpensive and readily available from most parts houses selling AR15 parts. You will need a barrel nut wrench, a torque wrench, a barrel/action block to hold the upper receiver in a vice, a pair of needle nose pliers, an X-Acto knife, a screw driver, a hammer and a center punch (Flat Tipped). If you are building a free float tube equipped AR, you will want the Free Float tube wrench instead of the regular barrel nut wrench. Oh, and an old M-16 armorer’s manual helps, but is not a must have. Get it anyway as it will help you through the process and has good trouble shooting tips. You can get by with less, but these tools will make life a lot easier. My first AR was build using nothing more than a hammer, 16 penny nail and a screw driver. I do not recommend that but it can be done! The specialized tools are the Barrel wrench ( either Free Float tube type or standard ) and the barrel/action block. I will go into more detail below. I will start with the last first as this is most applicable to the average citizen. Each passing year sees more and more AR15s on the line at High Power matches. Why? The AR has many advantages over the M1A, which until now, has been the traditional king of the line. The AR is not particular about bedding. It has none to spoil. The AR is light of recoil and is a joy to control during the Rapid fire strings. The AR holds its zero indefinitely unless treated VERY badly. It is indifferent to the elements. Humidity, rain, cold. Nothing seems to bother it much. It can be sloppy and still shoot well. In short, when compared to the rifle it replaced, it is totally versatile and can take the hard knocks. The fact that it has remained for so long the main service rifle of the United States says much about its design – nothing better has come along in 30 years. The M1A only lasted a few years before being replaced. It is essentially an M1 Garand with a 20 round magazine. 1930s technology at its best. But the best reason the AR is taking over the line is accuracy. A tuned M1A seldom matches an AR15 for pure accuracy. With the introduction of long bullets of high ballistic coefficient, the little .224 bullet has finally reached the 1000 yard line! It can compete and hold its own against the best .30 caliber 168 grain bullet on the market. So you want to get into the High Power game, but can not afford to purchase an accurized Service Rifle due in part to all the other equipment requirements needed for this game. This is OK. Frankly, you could use any old AR to start, and upgrade it as you go. This is why the AR is so great. You can replace parts as needed and as the budget fits. I competed for a year without a free float tube. I went from Marksman to Expert in three matches this way, so obviously not being equipped with state of the art didn’t matter. The idea is to learn to shoot well, no matter how basic the rifle. You can add accuracy improving enhancements as your skill improves. At first, you will not be able to shoot as well as the standard rifle anyway, so take your time building the ultimate Service Rifle rig. If you are starting from scratch, you will need to purchase a post ban lower receiver. In a way, this is a good thing as you will not need to worry about flash hider tension which does have an effect on accuracy. ( The AMU found that a flash hider screwed on HAND TIGHT is the best in terms of accuracy. Too tight and it will distort the bore and affect accuracy. ) A quality post ban barrel with a target crown is a good thing, no matter how odd it may look at first glance! This eliminates the flash hider completely and allows one to keep a close tab on the condition of the crown. Avoid those staked on post ban muzzle breaks! You can never service the crown, clean it or even see it with these things! Either go with no muzzle attachment or stick with a pre-ban military flash hider on a pre-ban gun. A real case can be made that no muzzle attachment is the most accurate anyway, as it will allow the gasses to expand evenly as the bullet leaves the muzzle. The lower receiver can be purchased from many sources. My two favorites are Bushmaster and Armalite. Both make excellent lowers at reasonable prices. There are other companies also. Check around comparing quality and price. Do not be hung up on a name. Especially do not be hung up on a Colt. This is like Nike. You are paying for the name but getting no extra performance for the money. A good lower receiver will run between $100 and $120. With lower in hand, you will need to order a complete rifle kit from one of the many outlets doing this business. My favorite is M&A parts. Model 1 Parts and Sun Valley are also in this business. Armalite and Bushmaster have kits too, but you will pay quite a bit more of these and in the case of Armalite, you may have to wait longer to get them. Frankly you get little extra for the money when compared to the other parts houses. On the plus side, going with either Armalite or Bushmaster parts may make the rifle easier to sell someday as some people prefer these two companies over others. My impression is that they ALL rely on outside contractors and you might be getting the same upper no matter who you purchase it from. Do not worry about the upper not matching the lower exactly in finish. Having a two tone rifle affects accuracy not a bit. Also let me address here the issue of receiver play. Many people are under the false impression that the slop between the upper and lower receiver on the AR15 affects accuracy. It does not. At least not in the manner in which you might think. You can put this one firmly into the realm of operator error. Guys think this makes a big difference and they shoot lousy accordingly. There have been many efforts to tighten up the receivers, but the accuracy gain is infinitesimally small for the effort. I once met a guy who would not open his rifle up for fear that it would not have the same zero when closed! He was going to attend a match and didn’t want to upset the rifle after zeroing it. I almost busted out laughing at the poor sap as he was suffering under some seriously false impressions. And he was Manic about it! You can pop the AR receivers apart all day and nothing is going to change. Must I say it again? There is NO bedding to spoil! Back to the project. When you order the complete kit you will be getting all of the assemblies needed to finish your rifle. BUT you will ask to have some of these deleted from the order. This is imperative if you plan on building a top flight competition rig. … the standard 1:9 twist Heavy Weight barrel most companies offer. These are generally Chrome Lined barrels of military grade. Chrome lining is not the most accurate option and several companies sell button cut or broach cut non chrome lined barrels. Olympic Arms, Krieger, Obermeyer to name a few. You can also go with a stainless barrel. Expect to pay from $190 to $450 for a quality match barrel. Olympic Arms barrels run around $225. Krieger runs closer to the upper end of the price scale. They all shoot well, so you have to decide where your priorities are. I went with the Olympic match barrel on the theory that I would pay less for my first barrel and burn it out while learning the High Power ropes. I had thought that by the time I was good enough to notice, the barrel would be worn out and I’d replace it with a more expensive Krieger. To my surprise the Olympic barrel was incredibly accurate. When this one is finally worn out, I may get one again! … the stock trigger group but you might take it anyway, as spares are good to have. The stock trigger can be tuned, but the final result is seldom worth the cost. Do not, and I MEAN DO NOT try to tune the stock trigger yourself. Unless you are a very experienced smith, you will ruin it. Between a buddy and myself we are responsible for ruining about four trigger groups. The best you can do with a stock trigger is to polish the surfaces smooth. Do not try to change the angles. You’ll just end up making the rifle double fire or not fire at all. Leave the stock unit alone and go after-market. These are a quantum leap in feel and reliability. There are several good after-market options. Armalite offers a two stage trigger, tunable for weight. It retails around $150 to $170. The two stage Krieger-Millazo is a very popular trigger group for around $230. JP Enterprises offers an excellent single stage trigger that can be tuned below three pounds for $125. This is one of my favorite triggers. It can be tuned for zero creep and zero over travel. I have mine set to the NRA High Power required 4.5 pounds. I like this trigger a lot as it is so versatile. You can use it in a tactical rifle, High Power rifle, or plain old plinker. It is not hard to install and the directions are easy to follow. I feel single stage triggers are better than two stage triggers for some uses. A case could be made that the two stage is ideal for High Power but both its cost and longer travel bothered me as the lower receiver I have sees multiple use. Having a two stage trigger for tactical carbine did not appeal to me. Of course, this is subjective. I “grew up” in the infantry using a single stage trigger in an M16A1, so it is what I am used to. The JP is so crisp, you can not help but love it. All I can tell you to do is visit a match and try to dry fire a two stage. It may be exactly what you need and want. I can tell you that the single stage is great, but until you have tried both, you will not know which you’ll prefer. They both have advantages. … the stock Rear Sight Assembly. You have several options here. Armalite offers an excellent National Match rear sight assembly. Smith Enterprise does also. BE WARNED: Some people are selling standard service rifle rear site assemblies as NM. They are not. To be truly NM, the elevation screw can not be the cam system you find on the stock rear sight body. It must be a fine thread. This allows very repeatable adjustments in half moa increments. Also, the windage can be made either quarter or half Moa by utilizing an extra detent ball in the windage knob. Order the quarter moa site and remove the extra ball if you prefer half moa windage. The Armalite NM rear sight is easily changed and is a good value at $75. When ordering from M&A parts or any of the other parts houses, grill them on which NM rear sight they are using. Chances are it is a stock military body with a small aperture. Tell them you do not want that. Get a full blown match sight. Armalite is a good option as is Smith. In addition to these three items, you can special order several other parts as needed. I recommend a NM front sight. This is a front sight post that has been milled down very thin. Depending on your eyesight, you might prefer the thicker stock A2 front sight post. Armalite has this for about $10. A free float tube is a must if you plan on using your sling a lot. I went a year without this and did very well, but I was extra conscious to not use too much sling tension when getting into a shooting position. The free float tube will allow you to tighten up as much as you like without bending the barrel of the rifle. There are several very good DCM legal free float tubes. Do not confuse these with plain free float tubes found on varmint and tactical rifles. The DCM legal tube actually goes under the stock service rifle hand guard, maintaining the original lines of the Service rifle. You may see a little more accuracy out of this product. You are after all totally floating the barrel, an accepted accuracy trick. I saw my 600 yard slow fire ammo go from a .6″ average @ 100 yards to a .3″ to .4″ 100 yards group simply by installing this tube. Expect to pay about $125 for a DCM legal tube. I went with Armalite but there are equally good options out there. I often see supposed NM parts that do little to enhance accuracy. They might be nice looking, but they do not seem to make a difference in terms of the total accuracy of the firearm they are installed in. One example is the Bolt Carrier Group. There are several NM bolt carrier groups on the market and they will cost you a pretty penny. But I seriously doubt you will see a reduction in group size. The AR is a loose weapon. It rattles. It sproings. It makes funny noises. But when the bolt locks into the chamber, it is square enough to work and work well. The stock Bolt Carrier groups is totally acceptable for Service rifle matches. Save your money for a good barrel. Another item that gets people confused is the screw in apertures on some NM rear sights. These are nice items to have as you can pick one to suit your specific eyesight, but do not expect to go to a match and swap these out in an attempt to combat lighting conditions. There is just not enough time. Nor is this needed. If you understand the basics of marksmanship and how light plays with you sight picture, you will never need to change the aperture. Remember, do not get hung up on brand name. I prefer mil-spec parts and do not care who the outlet is. Just as long as the parts are NEW, I am satisfied. Complete Rifle Kit, minus Barrel, Rear Site and possibly Trigger group: N/A. It all depends on the deal you cut with the Parts House. A complete AR15A2 kit from M&A parts goes for $375. Subtract the stock heavy 1:9 twist chrome lined barrel (-$125), and the Rear sight assembly ($35) and the total would be $215. Your total not including tools is $895 not including shipping. Add to that a Turner sling at $45. This is a must. For your efforts you should be able to shoot handloads into .75 or less. My rapid fire load holds .6 to .75 with cartridges designed to fit into the magazine. My long range slow fire load will go into .3 to .5 with bullets seated out too far to fit the magazine. You can ask to have the barrel maker send you a barrel with the chamber cut short to allow you to seat long bullets into the magazine, thus allowing you to use the 80 grain VLD type bullets in the magazine. I didn’t bother. I probably should have as eventually I will want to do this. Also, when ordering a barrel, consider the twist rate. 1:9 is a good all around rate. It will handle 50 grain bullets as well as some 75 grain bullets. If you plan on shooting at very long ranges you will want to use the Sierra 80 grain bullets. This will require either a 1:7/8th twist or a 1:8 twist barrel. The 1:8 is sufficient. The military 1:7 barrel is too fast and generally wears out sooner from the friction this high rate of spin causes. The 1:8 barrel is probably the best choice for High Power. I chose the 1:9 twist and am limited to the Sierra 69 grain HPBT or the various 75 grain match bullets for high power matches. This bothers me not a bit as my local matches have little wind to deal with and thus far I have not needed the 80 grain bullet. Still, I would be hard pressed if I ever made it to Camp Perry for the National Matches. A day without wind there I am told, is impossible. If you are even remotely serious about competition, get the 1:7/8 or 1:8 twist barrel. This ends the first part of this article. We eventually plan on listing all the phone numbers and addresses for the various reliable parts outlets. Parts two through four shall follow shortly. In closing, do not short change yourself and your abilities. You can build an AR with only a modicum of skill. Common sense is the biggest asset. If you did not have any of that, you wouldn’t be visiting this website, now would you? The AR15 carbine has been a popular rifle since its introduction. It is handy, easily carried, reliable, sufficiently accurate and gets the job done. It is like an extension of the person carrying it. Building a carbine is easy but there are some new things to consider. Sadly, one has to do with the rather silly law about so called assault rifles. The Pre-ban rifle was no more deadly than the post ban, but politicians always feel the need to look like they are doing something to save mankind from itself, so the ban exists and must be considered when building a carbine. This is less an issue with a full length service rifle, as flash is of little concern – if you happen to want to compete, the loss of the flash suppressor is actually a plus for accuracy! But with the shortened barrel of the carbine, flash and report are increased and frankly, you are best off purchasing a full size pre-ban rifle and just building a carbine upper to augment it. You can usually find a pre-ban rifle, purchase an assembled carbine upper from a parts house, and still pay LESS than what you would pay for a pre-ban carbine. I recently saw several pre-ban AR15A2 rifles in the $840 range and saw a few AR15A1 police cast off’s for much less. A carbine of the same era can go for as high as $1300. This is a rip off of course and no more than price gouging. I can find little justification for this high price. Therefore the reason for this article. BYOR. Build your own rifle. Trying to build the ideal post ban carbine is problematic. You have to resort to muzzle breaks that are pinned permanently to the barrel and this is less than ideal for several reasons listed in Part 1 of this series. Also, with the short length of the barrel, muzzle blast is already loud. Adding a muzzle break to it will increase the amount of noise the shooter suffers. I recently spent some time next to a post ban ArmaLite rifle with their proprietary muzzle break. It was painful to lay next to and I finally had to get off the firing line in disgust. I have since come to believe that having a normal exposed crown is a better alternative to a permanent muzzle break. It is not as if the 5.56 NATO round has any recoil to worry about anyway. If you want a decent carbine I feel it is worth locating a pre-ban rifle for this project when compared to accepting the compromise forced upon us when trying to make a post ban carbine. I will cover your post ban options at the end of this article. If you already have a pre-ban AR15 you are in luck. This will allow you to swap uppers and create a tactical carbine and swap back when you need the long rifle. The pre-ban rifle, to the best of my knowledge, is grandfathered and you can still install a collapsible stock on it. Check the LAW to be sure. The carbine owner will need one more tool. It is very inexpensive. About $8.00. It is a small metal handle with a finger on it and it is used to remove or install the collapsible stock. If you are sharing one receiver for a long rifle and a carbine this tool is a must for switching the stocks back and forth. You can get the collapsible stock off without it, but not without marring the finish. Assuming you are legal (pre-ban) and good to go, getting a carbine upper is easy. Any number of sources have the necessary parts. We will list the various sources below. You can buy complete upper assemblies, complete carbine kits which have all the parts for the entire rifle minus the lower receiver, or you can purchase carbine barrels to install on your current upper. The options are endless and you can make a carbine in just about any configuration you want. When ordering a new upper, do not forget to order a NEW bolt. You CAN order a complete carbine upper without a bolt carrier group to save money, but you should always have a dedicated bolt to match each complete upper assembly. This is a must. As the bolt wears in to match the chamber in which it is being used, it will no longer headspace exactly to another rifle’s chamber. It “may” be usable for a time, eventually it will wear in a manner that will allow excessive headspace in another receiver, particularly if you shoot a lot. Spend the money on a new bolt. It is your face. Lets try to save it! Do you want a tactical carbine? A plain old carbine like the XM177? A carbine for room entry practice? You have seen several options available. Not all Carbines are the same. A Flat Top carbine will allow a large amount of versatility, as you can mount countless optical devices and iron sights. An A1 style upper is a good inexpensive shooter that will work for room entry and limited long range. An A2 type upper gives you more range with its iron sight versatility. My personal feeling is that the Flat Top upper is the only way to go. With it you can configure the rifle for room entry, basic infantry type shooting, medium range tactical shooting (with the appropriate scope) or just out and out plinking. The point is, by design the Flat Top upper allows you to reconfigure the rifle as your needs change. While both the A1 and A2 upper will serve your needs, the Flat Top will do this, and then some. We will assume here that you are limited to a 16″ barrel to stay legal. Will you be adding lights, optics, or other tactical gear? There is a wealth of aftermarket and surplus equipment that attaches to the AR15 rifle. Some of it is next to useless and needn’t be considered. I rate the 37mm M203 lookalike as one of these. Looks neat. But that is about it. I recently saw a flare fired from one of these things and it went all of 40 feet up and 50 feet down range. Worse than useless. My point is, think long and hard before spending good money on a neat toy that you will have zero actual use as a civilian or police officer. If you are not dumping CS gas into a drug house, you do not need to blow money on the M203 attachment. This will also help you out in another area: money. The M4 is the latest version of the AR15 carbine. It is the most versatile and handy to date. With its flat top upper, you have a choice of sighting systems. Kits exist today that include contract M4 upper assemblies. They are somewhat expensive and I would make the case that they are unneeded other than as a unique collectors piece. Why? If you have no plan or need to mount an M203 you have no need for the M4 barrel with its reduced diameter cut aft of the flash suppressor. When you compare the average price of a real M4 upper assembly to an equally effective carbine upper, it becomes harder to justify the difference. For example, a 16″ M4 upper assembly may go for anywhere from $500 to $650 depending on dealer. A regular and complete flat top carbine upper assembly with a relatively accurate 16″ heavy match barrel (1:9 twist) with an M4 handguard will go for about $300. The only difference between the two will be the lack of a cut in the barrel for the M203 attachment and the heavy barrel of the carbine. In a way, you are getting a better barrel with the Non-M4 upper, for less money. If you want a normal A2 upper and no M4 handguard, expect to pay $260 for a complete upper assembly. Personally, I will never have a carbine without the standard M4 handguard. Once you try it, there is no going back. The larger handguard does away with the main reason the older carbine was somewhat of an annoyance. With double heat shields and a large surface area, the M4 handguard allows you to shoot all day without ever feeling the sting of barrel heat in your hand. The older style grip was next to useless in this department. It was small in diameter and often came without any shielding whatsoever. Extended shooting left your hand covered in sweat and often allowed enough heat to pass through that continued shooting become very uncomfortable. No matter what you decide to build, tell the dealer you want to delete the “shorty” carbine handguard and replace it with a real M4 handguard. You will be very glad you spent the extra money. These run around $40. More from those who wish to gouge. Other handguard options include short aluminum free float tubes and a specialized handguard similar to the M4 but that accepts a wealth of attachments. This one is not particularly comfortable to use but it does have the advantage of multiple uses. Unless you are in some sort of special operations unit, you needn’t waste you money on this one. A flat top upper receiver gives you unlimited options. But be forewarned, if you plan on having the detachable carrying handle/rear sight as a back up, you might find it impossible to zero the rifle unless you get a handle specifically matched to your barrel – in other words, buy the handle from the same people you purchased the upper receiver and barrel from! Many of these detachable handles will not work with the front sight bases from another manufacturer. It appears that the handles some people are offering are too high in relation to the front sight base and the result is that you can never get your point of impact down to the point of aim. Either the handle is too high or the front sight base is too low. I can not offer a fix for this as I have yet to find a set that works. Every front sight base I have measured – from several manufacturers – has been almost of identical height, but the various detachable handles vary slightly in height. I could get none of them to zero low enough at 25 meters. Eventually I said to heck with it and decided to forget about this handle altogether. Ask about this problem specifically when you order your upper or parts kit. My ArmaLite A2 style handle will not allow me to zero at 25 yards on my mil-spec Flat Top upper. It “may” work on an ArmaLite built upper. I can not say as I do not have one. This problem is well known to shooters but whenever you ask a dealer about it, they look kind of clueless. I do not know if there are different front sight bases on the market, or if the handles themselves are all of differing heights. All I know is that with several different handles the best I could do was get six inches high at 25 yards. As my latest Carbine was built to work as a means to practice room entry and team tactics, I didn’t give any more thought to this issue and mounted instead the excellent Aimpoint Comp M.
The flat top upper allows you a large variety of optics. Some things to consider: If you plan on using a rifle scope, you will need to get high or extremely high ring mounts. If you try to use standard or regular height rings you will find that you have to lay your head over the stock to get a good sight picture. This is neither comfortable or conducive to good marksmanship. Even though you are shooting a carbine, possibly at close range, you still want to be able to maintain good shooting form. Do not expect to mount a standard Mk4 ring on a flat top upper. Do not allow anyone, no matter how well known, to convince you otherwise. I know of one builder who markets a tactical carbine who uses very low rings on his carbines. You just about have to retract your head into your shoulders just to get low enough to see through the scope! And for this discomfort he’ll charge you several THOUSAND dollars! Purchase the high or extra high ring set. If you already have a set of standard rings, you can buy an inexpensive riser that will lift the center point of the scope high enough to be functional. Optics range from combat sights to sniper scopes. All can be utilized on a carbine and all have different purposes. My favorite, as stated above is the Aimpoint Comp M or ML. This particular red-dot type scope has a small 3 moa dot and is very good out to ranges that amaze me. The smaller dot allows you to see the target clearly as opposed to some of the other scopes of this type with 7 moa or larger dots. Other excellent options include the AGOG Reflex, the ACOG 4×32, and the ELCAN. All have slightly different uses. Research will show which fits your needs. For close-in work, I felt the Comp M made a lot of sense as you can shoot with both eyes open for total awareness of your surroundings. Police Marksman looking for a good backup or lightweight tactical rifle would of course want a more normal scope of higher magnification. Any number of variable scopes could fit this need. As the ranges are reduced, I’d go with a plain duplex reticle. For general use a chrome lined barrel is the best option. This is in direct opposition to how I feel about a rifle designed for maximum accuracy. The carbine, while capable of extreme accuracy, is not generally used for sniper ops. It can be used this way, but only out to limited ranges. For the average user, who plans on shooting a lot with minimal maintenance, the chrome barrel is the way to go. Twist rates can be had in 1:7 and 1:9, unless specified otherwise. A rate of 1:9 is the most popular and available. A twist rate of 1:9 will allow the barrel to last much longer than the fast 1:7 rate. There is little reason in fact to go with a 1:7 twist for this project. A 1:9 twist rate will stabilize 50 grain bullets all the way up to 75 grain bullets. Barrels come either in a heavy configuration or in the old lightweight configuration of the AR15A1. I prefer the heavy option. It is more versatile and allows you a certain amount of abuse in terms of sustained fire. It also balances out the rifle nicely without adding much weight to the overall package due to its short length. The carbine in this configuration is not designed for total accuracy. It is a good backup, or spotter’s rifle. It is a great entry team rifle. It needn’t drill 5 rounds into a half inch at 100 yards. Used on an ERT (SWAT), it may never be used against someone farther than 20 yards away, but is capable of body hits beyond 300 yards when required. A tactical carbine is versatile if nothing else. For a scoped precision carbine, you should look for a good stainless steel match barrel. A 1:8 twist is ideal but 1:9 will do. Plan on utilizing a free float tube. While is it not necessarily needed on such a short barrel, the extra cost is minimal and this will allow you to use a straight taper bull barrel. Configured this way and topped with a good piece of glass, the rifle can be very accurate and serve well for close range work (100 to 300 yards). It is far superior for police work than the Ruger Mini-14. Its accuracy is superior to the Mini-14 and its ergonomic design is better suited as well. The Ruger, while well represented in local law enforcement, has nothing to offer over the AR15 carbine. There are many attachments for your carbine. Lights seem to be the most popular. Of these, the Sure Fire systems are probably some of the best. There are too many to list, but you can get these in just about any configuration you desire. Beside the barrel, under the barrel, attached to the handguard. Laser sights are another option. I am not a great fan of these, particularly on handguns, but if you do your research, you’ll no doubt find one that fits you needs. When employing a carbine the standard sling attachment points are not always ideal due to their location on the bottom of the rifle. With the collapsible buttstock, which moves the rear sling mount to the side, you will want to locate an M4 side attachment for the front sling mount. This devise slips between the barrel and the front sight base and moves the sling mount to the side. It runs about $30. The alternative is the “paper clip” style assault sling clip that attaches to your front sight. It is nowhere near as nice as the M4 design. It rattles and can even get in the way of your sight picture. As a field expedient system it works, but it is not ideal. Above I stated that a post ban carbine is not ideal, but I will say that a post ban carbine can be built. I recommend immediately FORGETTING the silly non-collapsible type buttstock that looks like the pre-ban collapsible stock. What’s the point? Better to use the short AR15-A1 stock with the trap door compartment. Even the longer A2 stock can be used. This is not ideal in terms of a weapon for room entry and team tactics practice, but it will certainly be more comfortable to shoot and have the option of storage space. The longer stock is ideal for those planning on attending an outdoor carbine course. In one of these classes you do a lot of position shooting and the regular buttstock is better suited to this anyway. A fixed collapsible lookalike stock just doesn’t seem worth the price. It is akin to buying a Ferrari without an engine. What’s the point? I rank this stock as one of those useless gimmicks sold to the easily impressed who care nothing for actual function. I am sorry if this offends some of you, but I do not believe on buying something just because it looks “mean”. That method of gear selection seems childish at best, downright stupid at worst. If it doesn’t DO anything, there is no point to using it. If you have to build a post ban carbine use a normal stock. At least you will have the comfort of shooting the standard stock. If you plan on building a post ban carbine with an A1 or A2 stock, make sure you specifically order a post ban upper assembly. If you do not specify this, you WILL get a pre-ban upper. You can modify the pre ban upper by cutting off the bayonet lug and having a cap installed on the threads of the barrel where the flash suppressor would go, but to be legal you would have to have that cap pinned on. Why go to the trouble? Just get a post ban upper assembly with a target crown equipped barrel. Muzzle flash will be greater than if you had a pre-ban, but it is not unacceptable for civilian use. A post ban carbine will still give you a handy and short rifle even if not ideal for some (admittedly police or military type) applications. So what will all of this cost you? I will use prices from M&A Parts Inc. for this tally. Bushmaster or ArmaLite will cost more. I will present some options be stating ADD this part or that. This means that you will request that the parts distributor delete an unwanted item from the kit and does not charge you for it. The new price is derived by subtracting the price of the deleted item from the price of the wanted item. Example: A CAR handguard cost $15. And M4 handguard costs $40. By deleting the CAR handguard and replacing it with the M4 handguard, your cost above the base price of the kit only goes up $25. In short, do not PAY for a part you do not need! A complete Carbine Kit, including every single part you need to complete the rifle, including a plastic collapsible buttstock or standard A2 buttstock, will cost $375. This price should be the same with either a complete A2 Upper or a Flat Top upper. Add about $40 for the Aluminum buttstock. If you already have a complete rifle and want a carbine upper, a complete Carbine upper assembly will cost $260. To compliment this you might wish to purchase a collapsible buttstock, assuming you own a pre-ban rifle. Add $25 for the M4 handguard (see note above). Add $75 for the aluminum collapsible buttstock. For special barrels you will have to shop around. 16″ precision stainless barrels will add substantially to the price of this conversion. A free float carbine handguard costs $35 from most distributors. If you use a bull barrel and the special gas port, you could theoretically use a full length free float tube. Whether this is desirable is up to you, but it would allow the use of a bipod if you wanted to. In closing, the AR15 carbine is an accurate, handy rifle that can be modified for many roles. It is the true modular gun. Building one can be as simple as adding an extra upper assembly to your current rifle, or as complicated as building a rifle completely from scratch – which, due to the way the AR is assembled, is not hard at all. The AR15 as a sniper rifle? While the debate continues on the acceptability of the .223 Remington cartridge for sniping purposes there is no doubt that the rifle designed to launch it is certainly up to the task, at least within Clearly Defined Limits. The AR15 in target, match and varmint configurations is probably the most accurate semi-automatic rifle in the world. Only custom tuned rifles can match its out of box accuracy. Some can not maintain this level of accuracy for very long while others can do so but at prices that place them completely out of the budgetary range of LE or civilian shooters. The AR based accuracy rifle on the other hand, is both affordable (by comparison) and easily created. I will not attempt to address the suitability of this .224 – 5.56mm projectile for sniping purposes in this article. There are far more knowledgeable authorities than I that can better debate the issue. All I will say is that within given limits, the round is usable. I would not consider it viable where glass penetration is an issue nor where Long Range was the norm. But it does appear to be affective at Law Enforcement ranges. It will certainly do nasty things to the human body out to a respectable distance. The real issue has more to do with how it performs against objects like body armor, glass or cover. In terms of terminal ballistics, a 150 yard head shot taken with a 62 grain or 69 grain .223 would certainly do the job. Some Law Enforcement specific loads may even do better. This would seem to place the round into the realm of LE sniper operations. With in the military, an heavy barreled M16 variant mounting a Flat Top upper and decent optical device would certainly make a respectable spotter’s rifle as it provides rapid fire for team protection and has acceptable stopping power at combat ranges. While it is not ideal for the primary weapon, it is an excellent choice for the team where the odds of discovery are high. The spotter can carry a large combat load in comparison to a .308 rifle and it is far more controllable when the need for rapid fire becomes apparent. As a backup, it can also suffice for sniping out to and beyond 400 yards when necessary. The issue of cartridge suitability aside, the rifle itself makes for a very accurate and versatile platform. When equipped with a true match grade bull barrel and a flat top upper receiver, the AR15 can provide some astounding and consistent accuracy out to several hundred yards. I do not want to go into High Power competition here, but I must bring up this one example: A friend had a Space Gun built to compete in the Match Rifle class. The AR is called a Space Gun in this class due to its appearance. Very Otherworldly or Sci-Fi modern. With Palma type sights and a long sight radius, he became a Master in one season. No small feat and part of the credit must go to the extreme accuracy of his rifle. For tactical use, you can build an AR as easily as you might construct a rifle for plinking. All that is required is a good trigger, a free floating system for the barrel, a flat top upper receiver, high quality barrel and sighting system. For this endeavor, if you are building from scratch and plan on this rifle being a dedicated target/tactical rig, there is no reason to locate and pay a premium for a Pre-ban rifle. You will not have to concern yourself with the flash suppressor/bayonet lug issue at all. I have covered some of the needed items in the prior articles, but will go over them again here as this use is the meat of this series – after all, this web site is called Sniper Country. The variety of target barrels for the AR15 seems limitless. In fact they are the hardest thing to write about as there are so many that it is nearly impossible to list them. The least expensive is Wilson. I can not say anything about their accuracy as I have no experience with them. DPMS, Armalite, Bushmaster, Krieger, Obermeyer, Olympic Arms, Douglas, the names go on and on. The thing to look for no matter who you choose to purchase a barrel from is construction. You want a barrel that is machined to perfection, or as close as one can make it. This of course means no chrome lining as chrome is seldom consistent in thickness for the length of the barrel. I do not believe anyone has found a way to line a barrel and still keep the coating within precise tolerances for the full length of the bore. A better choice of course is stainless steel. But whether chromemoly steel or stainless steel, the barrel should be of high enough quality that any mistake made during aiming is a function of shooter skill, not barrel construction. For this application I would prefer a straight taper bull barrel. This can be done nowadays as there are custom gas blocks that allow full diameter barrels to be employed. A standard A2 style heavy barrel that tapers down at the front sight post is not ideal. When you order the bull barrel the gas block is usually part of the assembly. Make sure you ASK! The topic of Broach cut, Button cut or Hammer Forged bores rages on. I have no answer. They all seem to do well. I have an Olympic barrel that is button cut. Very accurate. I also have a hammer forged barrel on my 700 PSS that is also very accurate. The question of barrel length is often raised when discussing a tactical rifle. Target barrels for the AR can be found in 20″, 24″ and 26″. Some companies also sell bull barrels in shorter lengths. 16″ and 18″ specifically. My feeling is that there is little need for a barrel longer than 20″ on the AR15 sniper rifle designed for actual tactical use. Why? A longer barrel may marginally boost your velocity, but the trade off is a very long rifle which can be quite ungainly in the field. This is not an issue for a target grade Match rifle, which travels from your trunk to the range but this is not the case with the tactical rifle. With a tactical rifle all angles must be considered. It will need to fit in the trunk as well as be portable in the field. It must be portable and balanced with a slightly nose-heavy feel, but it needn’t be so barrel heavy that its weight becomes unreasonable. An LE sniper might need to use a hide of limited space and exposure. A very long barrel could preclude this. He might also need to operate within the confines of a building. His rifle just might become his means of defense if things go south. A long rifle inside a building is not an ideal tool. When carrying the rifle in the field that long barrel may turn into a dirt scoop if the shooter is not wary. When you analyze the issue of barrel length for an AR15 sniper rifle, one thing becomes clear. The maximum range is going to be limited to that of the typical Law Enforcement engagement. You simply do not NEED the extra velocity the longer barrel might achieve. As the typical engagement distances in LE run from 45 to 250 yards, why on earth would you worry about netting that extra 40 to 60 feet of velocity? Penetration? Forget it. It will not make that much difference with the .223 cartridge. Flatter trajectory? The .223 shoots very flat for several hundred yards and the downside of a long barrel hardly outweigh this perceived advantages. The reality is that a shorter barrel is probably more functional for Law Enforcement sniping activities than a long barrel designed to help increase the sight radius on a match rifle. When you weigh all the advantages of the 20″ barrel and compare them to the disadvantages of the longer tubes, for FIELD USE, there is little left to consider. We are not talking about varmint shooting (well not the furry kind) and we are not talking about high power competition here. Those static sports can be well served by a longer barrel, but frankly a cop or tactical shooter just doesn’t need it. In fact, a case could even be made for shorter barrels. If you want an AR for extreme accuracy and plan on using either a sling or bipod, you should consider a free float tube. As noted in part one of this series, the free float tube replaces the barrel nut with its own and a tube is screwed onto this nut. This leaves the barrel completely free of contact with any other part of the rifle, isolating the barrel from all external forces. You can put sling swivels on the tube, mount bipods, lights, or lasers on the tube and nothing will affect the barrel harmonics. Like barrels themselves, float tubes come in a staggering variety. Again, DPMS, Badger Ordnance, Armalite, Bushmaster, and just about every other company out there offers some form of free float tube. These generally consist of a replacement barrel nut threaded to accept the tube, the tube proper, and an Allen screw for retention. Some tubes consist of three major parts, other only two. All work as advertised. Float tubes are generally round in cross section but Badger now offers a unique tube that is slab sided. You can view this in our review of the Badger Ordnance Tactical Latch. Tubes come fluted, knurled or plain. You can even get them in snazzy un-tactical colors. Look for tubes that provide sufficient space to allow barrel cooling if you plan on shooting a lot in practice. A tube with a small diameter will not allow air to circulate as well as a wider tube of greater size. Installation will require a special tool. You will want to purchase this at the same time you order the tube. This tool replaces the standard Barrel Nut wrench. There is only ONE option for the AR15 sniper rifle. The flat top upper receiver. You can not beat the versatility as it will allow a variety of options. The standard A1 or A2 upper can be used effectively, but they are hardly ideal. They force you to mount the scope up to 4 inches over the centerline of the bore and getting a good cheek weld is next to impossible without the assistance of a separate cheek piece. The height of the scope over the bore is the biggest downside. This can cause some interesting problems if you cant the rifle to one side or another. With the flat top receiver you will mount the scope low enough to avoid this potential nightmare but you will still need to keep the scope high enough for proper cheek weld and sight picture. This will require either high or extra high scope rings or a small riser device that elevates the scope (with standard rings) to the proper height. Mounting low rings directly to the flat top upper will force you do drop you head sideways over the buttstock. This is hardly comfortable or conducive to precision shooting. The riser device will cost you about $40. There are cheaper ones on the market. But you have to check quality. The riser clamps onto the flat top and the scope rings clamp onto the riser. GG&G offers top notch risers in the hundreds of dollar range. You’ll have to research what is available and decide what fits your actual needs. Badger Ordnance makes excellent rings in an ultra high style. These can clamp right onto the flat top receiver, thereby saving you the hassle of finding a riser. These rings are outstanding in quality. See our review. The nice thing about these rings is that they can be removed and replaced with little worry about zero. They are in the Mk4 pattern and as long as you re-torque them properly, they will get you close to zero if not exactly on it. This is ideal if your department has to switch to NODs as part of its mission. Tailoring the optics to mission specific needs can only be done with quality rings. Cheap quick detachable rings will not cut it. Leupold Mk4 rings also are an excellent option, but the quality is not equal to Badger. The Mk4 ring set may not be tall enough in its standard height. You will need a riser. Millet also sells high rings for the AR type mount. These are more for the budget minded and are somewhat complicated in function, being windage adjustable via set screws. These are not for those planning on removing the scope often. Weaver type rings will also suffice. But if your goal is total performance, spent the money on a Mk4 type system. You will not regret it. When you assemble your rifle you will find the bull barrel nose-heavy. This is a good thing but you can balance the rifle out a little by adding a weight to the buttstock. The easy route is to order a lead insert for the compartment in the buttstock. Or make your own and save the $20. The rifle will be very heavy with both the bull barrel and the stock weight, but it will settle very well once in position and the hold will be rock steady. Follow-up shots are a breeze with this combination as the rifle will hardly move in recoil. You will want to add a sling swivel stud to the free float tube. Make sure that the stud does not come into contact with the barrel. One way to set this up is to drill and tap a hole into the tube and back it up with an 1/8 inches steel plate, also drilled and tapped. Screw the stud into this plate, through the tube and check for barrel clearance. Remove the stud and cut off the excess as needed. Optics are not within the purview of this article but here is something to consider. As always buy the best you can afford, BUT you will want to research your actual use before making your purchase. If you are Law Enforcement and know that due to your locale, you will never EVER have to shoot a perp over 200 yards, or if your department policy does not allow you to shoot over a certain distance, you have no need for an internal ranging device like the mil-dot reticle. Instead you will want a tried and true duplex reticle and use the savings for better glass. A cheap scope with a mil-dot is not as valuable as a crystal clear scope with excellent light transmission and a duplex reticle. Of course, if you just have to have both, by all means, get them. A top of the line scope WITH a Mil-dot reticle is hard to beat for versatility, but understand that it is seldom needed for 80 percent of the shooting you will do! Spend the money wisely where it is needed most. Go for quality glass first and foremost. Ranging devices can be added later (Premier Reticles and others) but you are not going to improve the quality of the scope you purchased by replacing its lenses! Also you must consider the cartridge. If you are shooting a .223 you will not be using it against a perp at long range. Long range being defined as 600 yards and beyond. 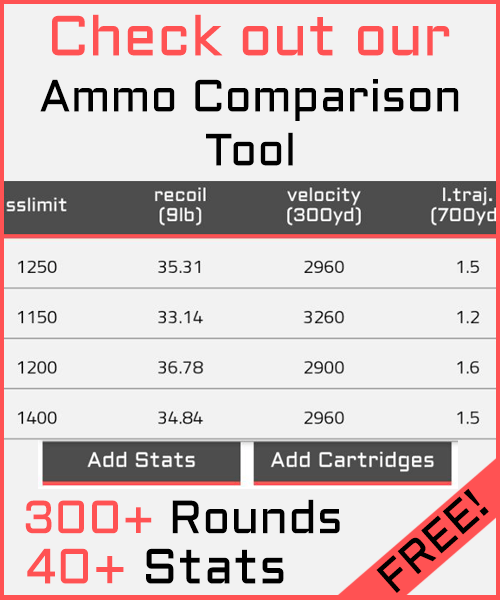 Chances are you will not be using it at medium range which for the purpose of this article will be considered 350-500 yards. Under 250 yards, a mil-dot is simply a luxury you do not need to pay for. Triggers have been covered in another part of this series. Please refer to it for details. I will add that the stock trigger is totally unacceptable for a sniper rifle. Bordering on 8 to 10 pounds and sometimes creepy, the stock trigger can hardly be thought of as an accuracy enhancer! Again, look to JP enterprises, Armalite and Krieger-Millazo. While I prefer a single stage, a two stage might fit the bill better here as there is a definite stopping point after the take-up. You could sit on that point for an hour if needed, with only a slight pull left to trigger the firearm. Not that this would be a good practice in real life, but you at least have that break point to play with. Still, I prefer the JP single stage trigger. It all comes down to what you are used to. I prefer the JP because I am familiar with it and it can be tuned down to a very low pull weight. I am sure the two stage triggers can also be tuned. One of the nice things about the AR design is the manner in which it is headspaced. When a barrel is assembled, the headspace is set via a nut that serves as the locking lugs of the chamber. You as the builder have no control over this and most people just assume that the chamber is milled from the barrel. It is not. The locking lugs are screwed onto the barrel and the tolerance is so tight that a visual observation would lead you to believe that the lug and barrel are made of one cohesive unit. What this means is that in a brand NEW unfired rifle you can take ANY new bolt machined to the proper specification and use it in ANY barrel built to the proper specification. The only thing you as the builder can control is the torque which you apply to the barrel nut that holds the barrel assembly to the upper receiver. This is why most people of common sense can assemble an accurate AR in their garage. The rifle design allows you to follow a sequence of assembly that requires no machine work as found when attaching a barrel to a bolt action. The rifle can literally be screwed and pinned together, resulting in a piece capable of outstanding accuracy. All you need do is purchase the quality parts to assure a good shooting rifle. A custom gunsmith might be able to make you an AR of marginally better accuracy, but not by much! This is not to say his services are not worth it, but that the original AR design is such that it doesn’t take a special knowledge of gun craft to assemble a good rifle. With no special knowledge I put together an AR that will shoot sub half MOA for under $700 in 1994 dollars. My friend bought a brand name custom target grade service rifle for $1200 that is no more accurate. Something to think about come budget time. When you start looking at parts, particularly barrels, always remember you get what you pay for. If a barrel seems unreasonably inexpensive, chances are there are reasons. The barrel is the ONE and ONLY item on the AR15 that controls inherent accuracy. I do not care if the upper and lower receivers have slop. I do not care if the buttstock is loose or the buffer rattles. I do not care if the lower does not match the finish of the upper or if the receivers came from brand X or brand Y. Nor do I care if the bolt carrier is supposedly National Match or not. The barrel is what makes and breaks this rifle. I have used the same complete rifle, purchased from garbage parts back in the 1980s as a test bed to prove this. The only thing I have changed over the years is the barrel and the bolt. With each different barrel the rifle became a new animal altogether. With a cheap chrome lined mil-spec barrel this rifle shot 1.3 inches on a good day. With the latest barrel, an Olympic Arms, it now shoots sub half moa. I did not changed any other item until I got into high power competition. With the addition of the free float tube accuracy tightened up a little more but not a great deal. The barrel, as always, is the thing. When you order a barrel for your tactical rifle, keep in mind the bullet you plan on using. This will dictate the twist rate. Avoid the 1:7 twist of the standard military barrel. Look at the 1:8 or the 1:9. The 1:9 twist is the best for overall use. The 1:8 (sometimes 1:7/8ths) is best for long heavy bullets. The makers offer all twists upon request. If interest is great enough I may come up with a Part 5 to this series detailing actual assembly. This has been covered to excess on other sites and I have little to add as the actual process is so very basic. Part 3 was originally intended to cover assembly but the direction of this site centers on Tactical (sniping) shooting and this seemed more appropriate considering the wealth of information on assembly already available. At best I could only offer a few extra tricks. Good luck and keep them in the X-Ring!